Left to my own devices, I’d probably be able to name 100 reasons to visit Bolivia. Maybe more. At the risk of sounding utterly biased, I’d say Bolivia is, generally speaking, the most rewarding country to explore in depth in all of Latin America. It’s a high call, I know, but hear me out! When planning my travels, I like to look at a nation as a whole before honing in on specific attractions: what does it have to offer, in terms of culture, nature and unique experiences? More importantly – for me personally – how different is it from my own country? If I’m only planning on indulging in one overseas trip this year, I like to make sure I’m headed to a country that is so culturally and geographically different to mine, that it totally blows me away. Bolivia did that. A total of 8 times. So why should Bolivia be on your must-see list? Because aside the enticing culture, head-spinning heights and crazy experiences, there is the nature. The resplendent, awe-inspiring nature. Because Bolivia is a postcard at every turn, it’s a kaleidoscope of landscapes so diverse, you’d be hard-pressed to find a more varied nation anywhere on earth, not just South America. Traditional to a fault, as if almost stuck in a mesmerizing time warp, Bolivians belong to a bygone era. The bowler hats, the colourful llama-wool ponchos, those insanely thick hair-plats, sun-scorched cheeks and vertically-challenged statures. Meet a little Bolivian grandma on the Altiplano and I challenge you not to wish you could just bundle her up, put her in your pocket and take her home. Of course, there are plenty of modern, hip and happening young things walking the streets of La Paz, but by and large, Bolivia boasts the most traditional people in the Andes. Resilient to the nth degree, Bolivians will teach you a thing or two about personal pride. They may have little, and survive on selling two cans of tuna a week from their makeshift ‘shop’, but dare walk in without saying ‘buen dias!’ and they’ll get so offended they’ll tell you they have no tuna to sell. 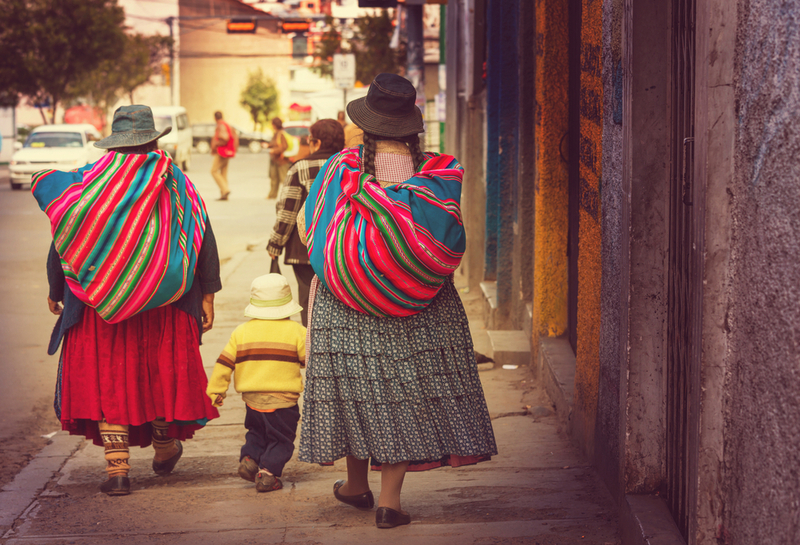 Bolivians are both humble – and humbling – and will undoubtedly be a huge highlight of your visit. 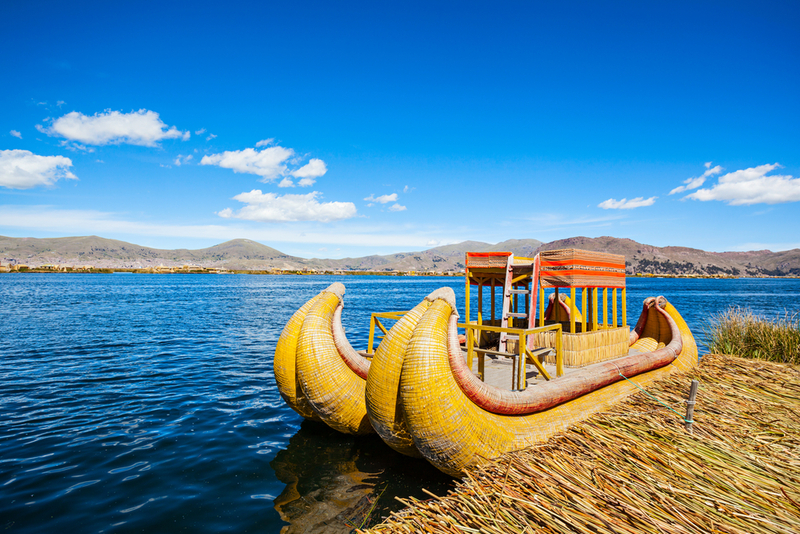 From the snowy peaks of the high Andes to the multihued, Dali-esque canvas of the Altiplano; past sparkling blue Lake Titicaca down to the wildlife brimming rivers of the Amazon. Bolivia is like a mini-South America, made compact and convenient for easy touring. 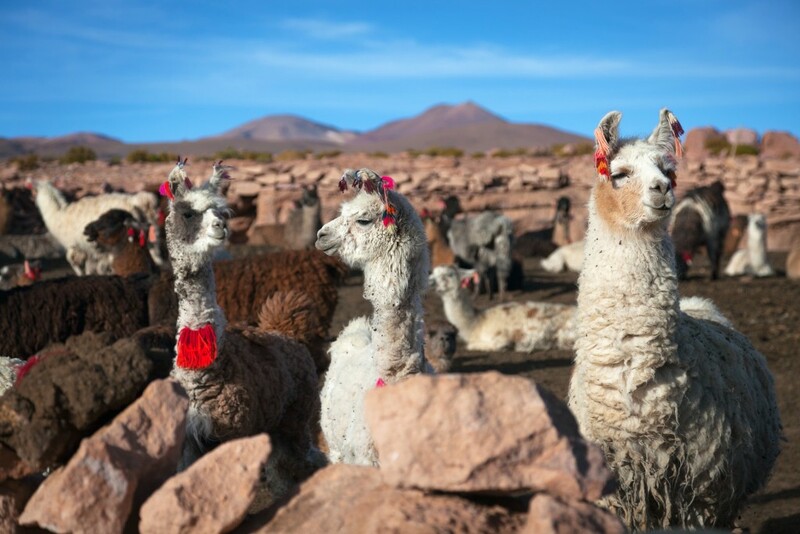 With outstanding snippets from the best of the continent, the variety of scenery in Bolivia is simply spectacular. Hey, do you know where you can cuddle llamas in the Andes and swim with dolphins in the Amazon? Bolivia! Go there! Boasting one of the highest levels of biodiversity on the planet, Bolivia is a mosaic of nature, both in fauna and flora. This is despite the fact that it’s been landlocked since 1883. Dry arid plains, luscious rainforests, verdant basins, vertiginous peaks and all that could possibly thrive in between. Bolivia is home to all these landscapes. Combined, they nurture almost 3000 different species of animals, including nearly 20% of our world’s tropical birds, and consists of 200 different ecosystems. In the eco-world, Bolivia is legendary, for respecting the rights of the land and its creatures and equating that to those of human beings. Bolivia may not be the easiest nor cheapest country to reach, granted, yet once you do you can rest assured you’ll be getting amazing value for your holiday-dollar. Local food is both delectable and cheap, as are souvenirs, activities and all those little extras that can easily add up to a small fortune when touring around. Moreover, when you do ‘splurge’ – say, on a meal at a fancy schmancy restaurant – you’ll still be unlucky if the bill comes to more than $20. Really. If it’s a true value for money destination you’re after, which returns your investment 10-fold…yep…Bolivia’s your spot. The world’s largest salt flat, an astonishing spectacle at any time of year, is arguably Bolivia’s biggest and most famous draw. Attracting hordes of adventurous travellers looking for that ‘iconic salt flats optical illusion photo’, Salar de Uyuni is more than just a photogenic backdrop. This prehistoric lake bed is one of the most magnificent sights you’ll ever cast your eyes upon; one of those wonders of our planet everyone should experience at least once before they die. 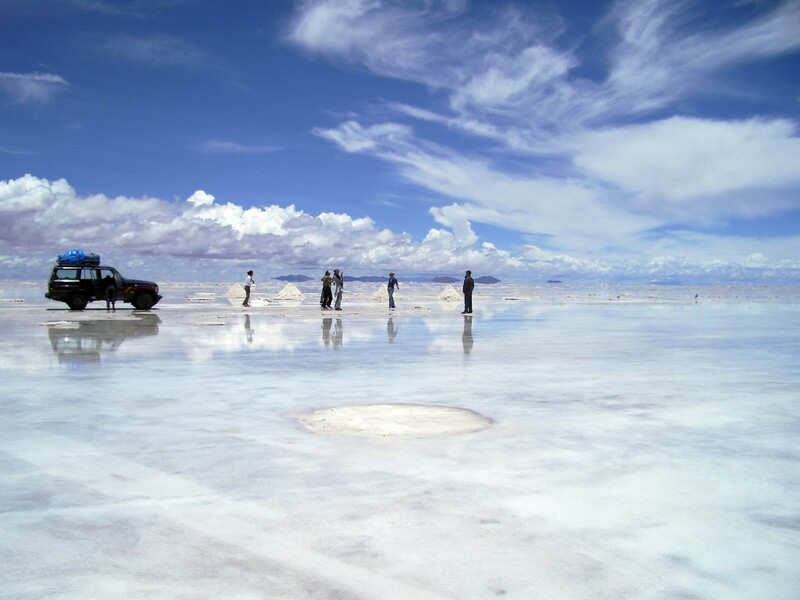 See it on a day trip from Uyuni or – highly recommendable – spend a few days crossing it by 4WD. Much like all of the most pristine places on earth, Salar de Uyuni is best admired at first or last light, in complete stillness and quiet. I’ve taken flights lower than the altitude at which La Paz sits and tackling even a short walk around the world’s highest capital certainly makes you feel as if you’re walking on air. Very thin air, that is! Life at high altitude is utterly bizarre yet if anything can teach you to ‘slow down and smell the roses’, this will definitely be it. Nothing happens fast in South America, everyone knows that, but in Bolivia you finally will not mind one bit. Keeping the altitude and your wellbeing always at the forefront of your mind is quite a unique travel experience and, at least for some, a very delightful one. At the very least, in retrospect. On the upside, is the fact that in Bolivia you can pretty much visit or do the highest of…anything! Visit the highest Jesus statue in the world, sail on the highest navigable lake (Titicaca, of course), tee off at the highest golf course and take the highest cable car ride too. Visit Minuteman Pizza in Uyuni, and you could also delight in the highest super supreme in the world! At 3,5656m this is pizza with some serious altitude. Travel to Bolivia and you’ll enjoy unique experiences at every turn, with even the arduous times – whether too cold or too high – being rewarding and unforgettable. But don’t just take our word for it! Ask anyone who’s been and we know they’ll agree: the hardest part about traveling to Bolivia is not finding a reason to go….but it’s finding a reason not to return again.